The gala, attended by 280 guests raised $313,000, with proceeds going to support the Visionary Woman Scholarships. 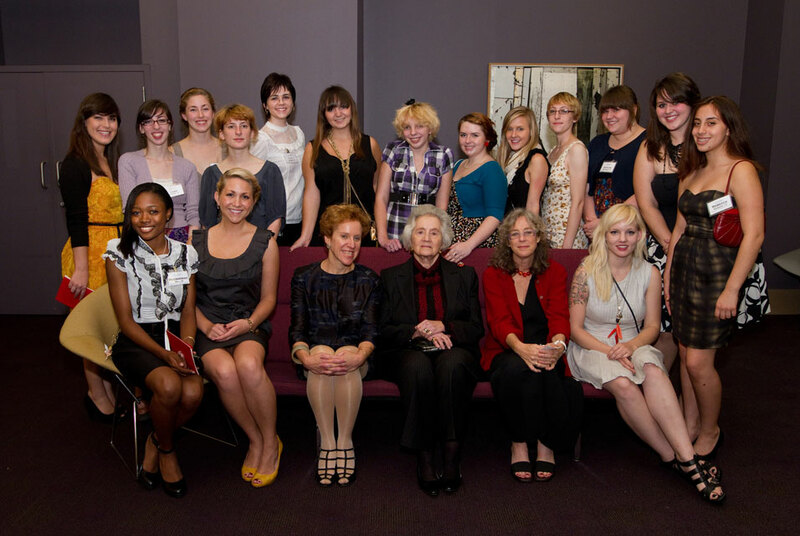 PHILADELPHIA, PA.- Moore College of Art & Design presented its 2010 Visionary Woman Awards to photographer and educator Wendy Ewald, couture handbag designer Judith Leiber and art historian and curator Ann Temkin. Ewald, Leiber and Temkin accepted the Visionary Woman Award at a gala on Thursday, September 30 at the College. Since 2003, the Award has become a signature event at Moore each fall. In 2005, the College designated proceeds from the Visionary Woman Awards benefit Visionary Woman Scholarships. Since then, 24 four-year scholarships have been awarded. Ewald's Literacy Through Photography program engages students, artists and teachers throughout the world. Leiber is a renowned couture handbag designer. Curator Temkin is the first woman to hold the Marie-Josee and Henry Kravis Chief Curator of Painting and Sculpture at the Museum of Modern Art in New York . The Visionary Woman Award honors women whose work and leadership have had a powerful influence on the visual arts. Previous award winners have included Faith Ringgold, Linda Nochlin, Wilhelmina Cole Holladay, Jane Golden, Dorrit Bern, Elizabeth Sackler, Amalia Mesa-Bains, Mary McFadden, Nancy Kolb and Billie Tsien. Proceeds from the Visionary Woman Awards gala support Visionary Woman Award Scholarships. The Elizabeth Greenfield Zeidman Lecture featuring the three honorees was also held on September 30 prior to the gala. The Galleries at Moore featured exhibitions by both Leiber and Ewald through October 16, 2010.